Caption slip reads: "Photographer: Lapp. Date: 1959-07-01. Reporter: Waymire. Assignment: Hay truck. 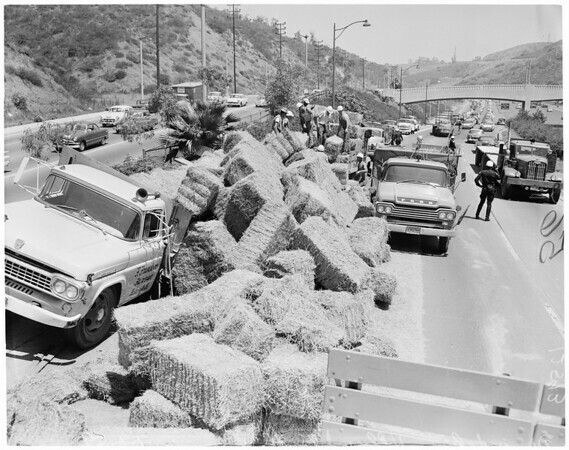 State Public Works workers reload hay on their own trucks to clear Hollywood Freeway after hay truck dumped its load".